Chances are, most of you only ever hear about Epix in an article discussing streaming rights (like this one). Epix is an online streaming video service a la Netflix that you can only get access to if you have a cable bundle that includes the site. Or, you know, if you have Netflix. For now anyway. The real value of Epix is the stable of movie rights it brings to the table, and now the joint venture is sharing its media library with Amazon Instant Video for all of the online retail giant's Prime customers. According to Amazon, the deal will "more than double the number of titles available" to its customers who subscribe to the Prime service. Most notably, new releases like The Avengers and The Hunger Games will be included. It's unclear at this point, though, just when Amazon will get access to the movies. Netflix' deal with Epix typically required that the streaming favorite observe a waiting period after a movie's release before gaining access. This is a move that studios tend to include in their licensing deals in order to boost hard copy sales. The move is great news for Amazon Prime customers, but it also comes as a bit of a blow to fans of streaming services. 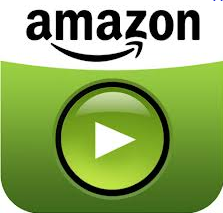 It's not exactly easy to get access to Amazon Instant Video if you're on Android. The service is only available on Google TV and the Kindle Fire (officially). Netflix, on the other hand, is available on most Android devices. Netflix sounds like it's poised to let its current Epix deal lapse before too much longer and if the movie stable starts favoring Amazon instead, it could mean fewer high-profile moves on the Reddest Streaming Service U'Know.